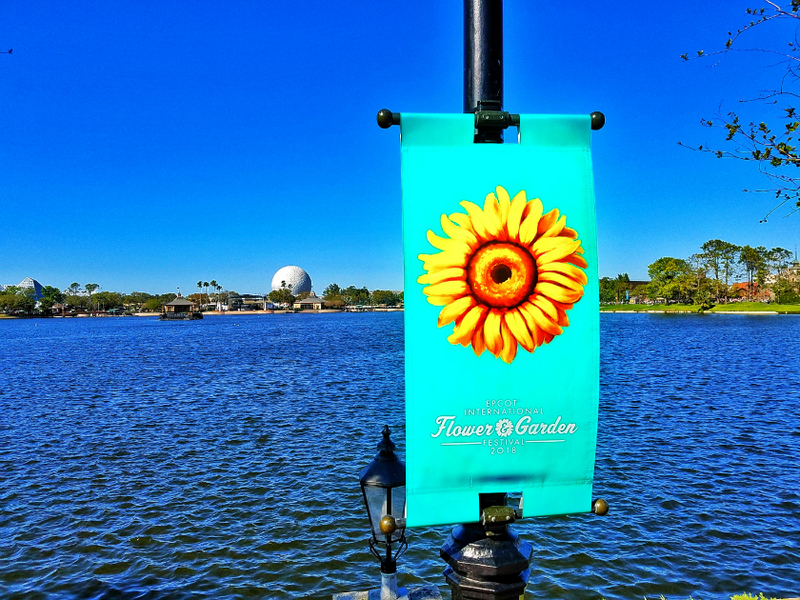 The Epcot Flower and Garden Festival continues all month. 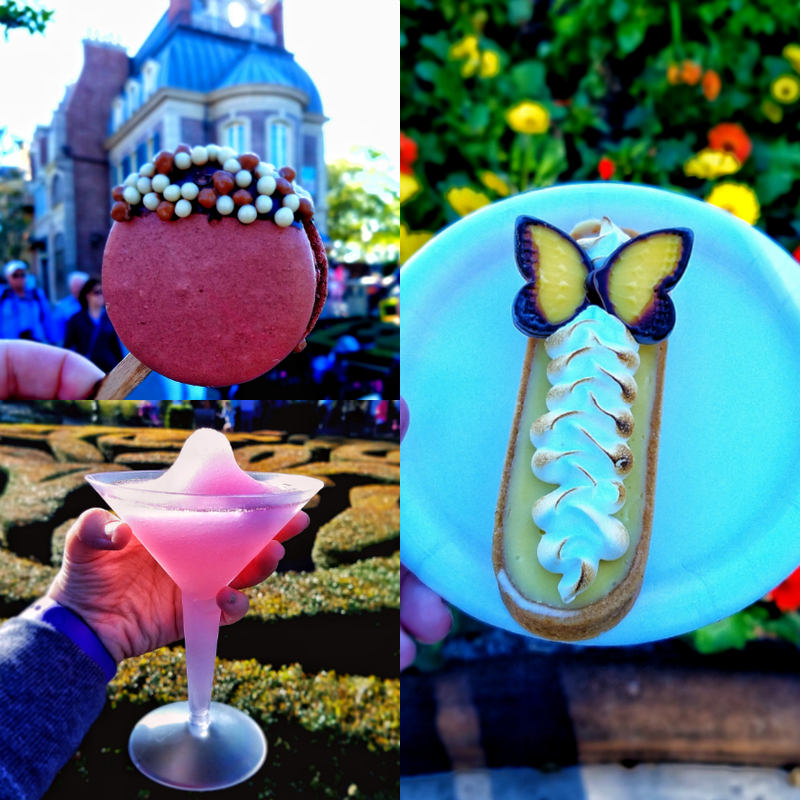 Some of our favorite foods include the La Vie en Rose Frozen Slushy (alcoholic) and the Chocolate Macaron Lollipop from Fleur de Lys (France), and the Key Lime Tart from Florida Fresh. The Local Wildflower Honey-Mascarpone Cheesecake from Honey Bee-stro is one of our favorite desserts, not just of the festival, but in general. Do not miss it. 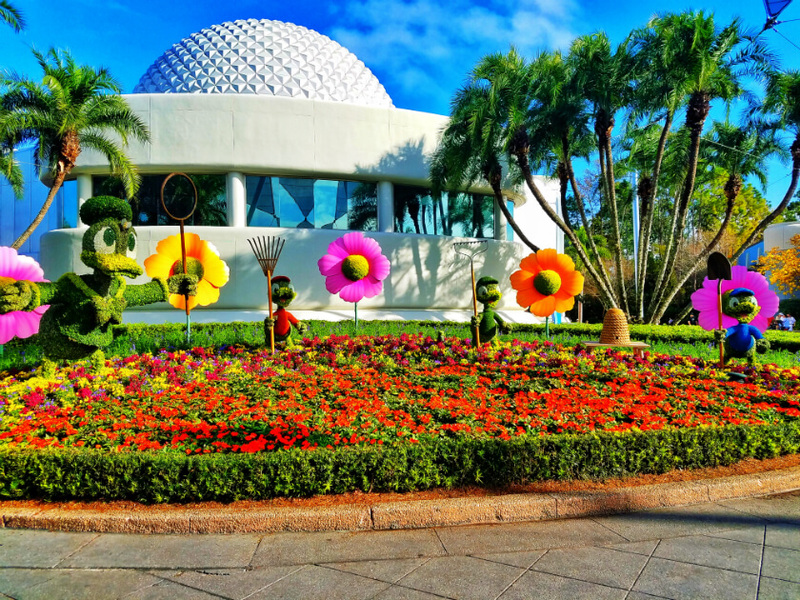 Be sure to check out the Disney topiaries. They are always a hit. As are the themed gardens, including a butterfly garden. If you are at Disney for the beginning of the month, there are several Easter decorations to check out. The 7th Annual Easter Egg display is up at the Grand Floridian through April 9th. Easter Eggs are also on display in the 1st floor lobby of the Contemporary through April 4th and the Beach Club through April 3rd. A special marshmallow chick cupcake is available at the food court at the All-Star Music Resort through April 8th. Disney is opening a new “immersive” children’s experience at the Contemporary Resort starting April 13th. This is a fancy way of saying a new babysitting/play center for kid’s 4-12. So if you are looking for a place to leave your kids while having dinner or just having a night away, there is now an option available. It will be Pixar themed, and cost $65 (plus tax) for each child from 6pm to 10:30pm. 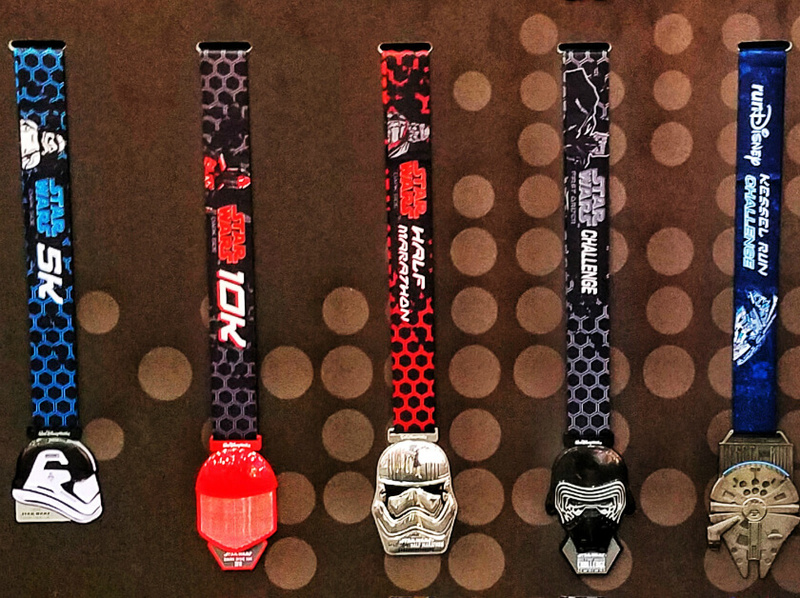 runDisney’s popular Star Wars-Darkside half marathon weekend kicks off on April 20th with a 5k. The 10k is then on Saturday morning, followed by the half marathon on Sunday. If you are wondering about the Lightside, sadly when they cancelled Disneyland races it was cancelled. This year it was held virtually, but no news on its future. Even if you aren’t running, check out the runners in costume, merchandise (and characters) at the Expo at the ESPN Wide World of Sports Complex, and activities at the start and finish lines. Leave a comment and let us all know if you’ll be running this year. Dapper Days is a unofficial biannual event at Disney World (and Disneyland) celebrating the bygone days when people dressed up to go to Disney. This event is considered a conference by Disney, so room and ticket discounts are available. Visit here for more details. While part of the fun is dressing up in your favorite retro gear, it is by no means a requirement. And there is also no cost to attend the park outings (aside from park admission of course). This year’s spring event at Disney World will kick off at the Edison in Disney Springs on Friday April 27th (no cover) . Saturday the fun heads to Magic Kingdom, and on Sunday they’ll be making their way over to Epcot. This will be our first Dapper Days outing. Have any of you been before? Kringla Bakeri og Kafe in Epcot’s Norway is closed until the summer, but have no fear, Midnattssol Bakeri is a new pop-up kiosk now open featuring all your favorite snacks. Also at Epcot, both the Electric Umbrella (Future World) and Liberty Inn (America) have new items on the menu. We can’t wait to try the chicken cobb salad at Liberty Inn. There is a new popcorn bucket available at the Magic Kingdom in the shape of the infamous Mickey balloon. Also, nearly every counter-service restaurant at the Magic Kingdom has a new menu item, so be sure to check out the menus before picking a spot to eat. Morimoto Asia in Disney Springs is hosting the Sakura Festival celebrating spring. On April 3rd, there will be a guest chef dinner ($120). A ramen seminar and tasting is on April 7th ($36). And the Matsuri Fest featuring street food, beer and cocktails, and games and activities is being held on April 15th ($45). Paddlefish in Disney Springs has a Lobster Fest on April 25th. This 4-course meal with wine pairings features, you guessed it, lobster. The cost is $90 and tickets are available here. Joining the collection of rose gold everything, millennium pink is coming to Disney World spirit jerseys and Minnie ears. The second Saturday of each month, Annual Passholders can participate in an exclusive shopping opportunity in Disney Springs. Be on the lookout for emails. No one wants to get excited for an attraction only to find it closed when you are there. Liberty Square Riverboat (Magic Kingdom) will be closed all month. There will be no fastpasses for Toy Story Mania (Hollywood Studios) available from April 9th-May 7th. A new bird show is opening in Animal Kingdom featuring characters from Up, cleverly called Up – a Great Bird Advenure. It will open April 22nd to coincide with the 20th anniversary celebrations. And Pirates of the Caribbean (Magic Kingdom) has reopened with a new scene. No spoilers here. But we’ve heard good things and can’t wait to check it out soon. 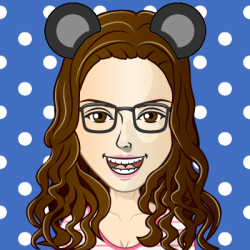 Traveling to Disney this summer? Check out the new room only and vacation package discounts. Passholders and Florida residents also have new discounts available. Inventory for these deals always goes fast, especially for popular times. So book soon to take advantage. We finally have dates for the Epcot’s International Food and Wine Festival – August 30th through November 12th. Looking for more information about the Food and Wine Fest, check out our tips here. Dates for Mickey’s Not So Scary Halloween Party and Mickey’s Very Merry Christmas Party have been announced. You can even buy tickets already. These hard ticket events occur at Magic Kingdom starting in late summer through the holidays. 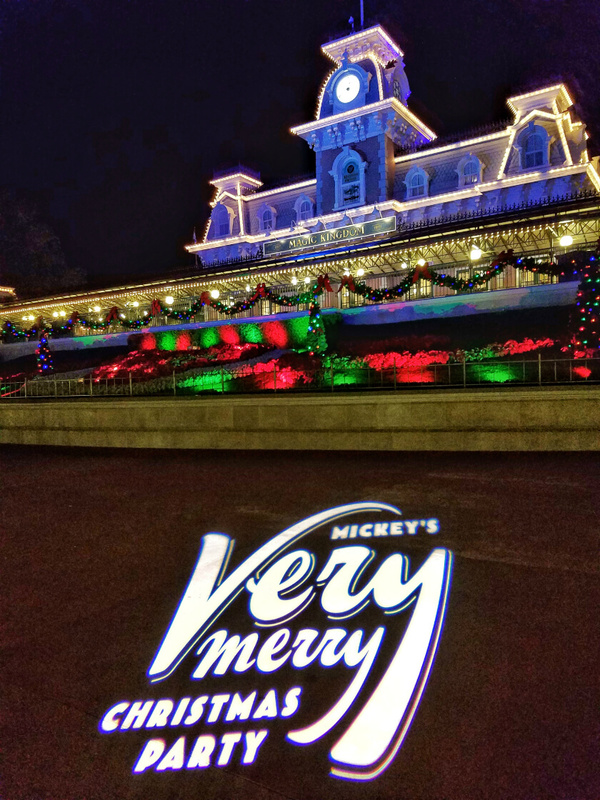 If you are traveling then, even if you don’t plan on going to a party, we recommend checking out the dates here because the Magic Kingdom will be closed to non-partygoers those nights. In a not so happy announcement, Disney in now charging for on-site parking at its hotels. If you have already booked a hotel, you won’t be charged. But for all future bookings you’ll have to pay to park a vehicle. For Value Resorts – $13; Moderate Resorts – $19; and Deluxe Resorts – $24. This eliminates a distinct advantage that Disney hotels had over local hotels that almost all charge for parking. As always, if you have any questions, leave a comment or send us an email. Things are always changing at Disney, so follow along on Twitter, Instagram, and Facebook for more updates. 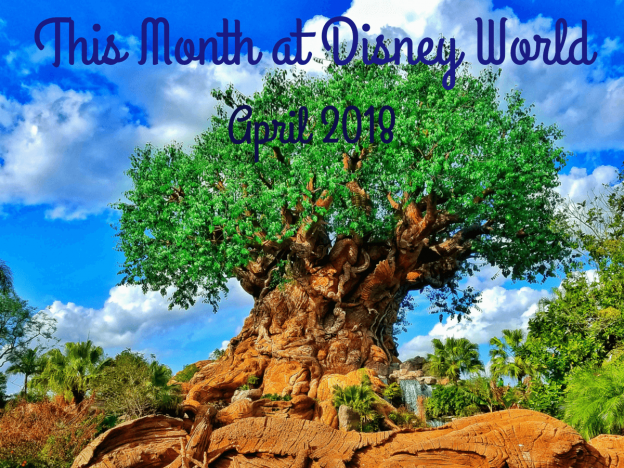 Wow, April is filled with many fun things! 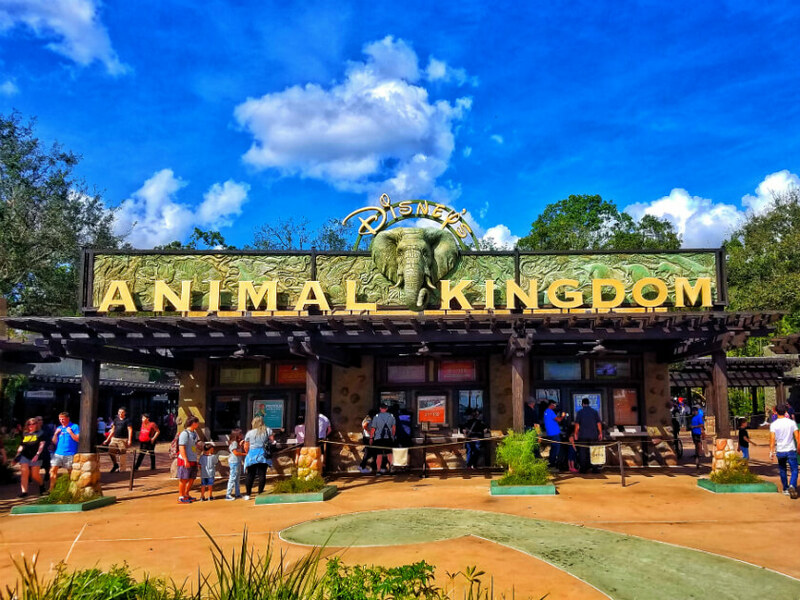 I can’t believe Animal Kingdom is 20 years old! I hope to be able to do Dapper Day one year!